There are many reasons to celebrate trees: trees save energy, improve water quality, enhance property values, and make our neighborhoods safer and healthier. Join Western Reserve Land Conservancy this April to plant a tree, learn about urban reforestation efforts, and celebrate Arbor Day! Western Reserve Land Conservancy and Holden Forests & Gardens have partnered to provide Sherwick Tree Steward Trainings where citizens learn how to plant, care for and maintain trees. Training residents to maintain existing and newly planted trees is critical to the success of the Cleveland Tree Plan and our collective reforestation work. Tree Steward Graduates are encouraged to help at upcoming tree plantings including a Tree Planting in Slavic Village and Arbor Day Tree Planting. Interested individuals can register to attend upcoming trainings by registering at https://www.wrlandconservancy.org/events/category/tree-steward/ or by calling 216-515-8300. Western Reserve Land Conservancy invites the public to celebrate Arbor Day Eve efforts at Toast to Trees! The event is sponsored by Market Garden Brewery who will release a special brew for the event and generously donate $1 of every purchase to the Land Conservancy’s urban reforestation efforts. Tickets to the event are $10/person with proceeds benefiting Western Reserve Land Conservancy. Tickets provide entrance to the event and light appetizers; beverages may be purchased separately. Interested individuals can purchase tickets online at https://www.wrlandconservancy.org/event/toasttotrees18/ or purchase at the door. Special thanks to our sponsor: Market Garden Brewery. Mitchell’s Ice Cream and Western Reserve Land Conservancy are teaming up to provide tree seedlings to customers on Arbor Day. Visit Mitchell’s Ohio City or University Circle stores on Apr. 27 for a delicious ice cream treat and the opportunity to adopt a tree seedling (while supplies last). Customers are encouraged to try one of Mitchell’s tree-inspired treats in honor of Arbor Day! For more information, visit: https://www.wrlandconservancy.org/event/treeadoption18/. Special thanks to our sponsors: Mitchell’s Ice Cream and Bartlett Tree Experts. 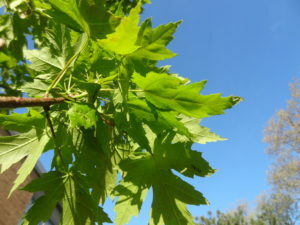 A growing body of research and documentation validates the critical role that a robust urban tree canopy plays in providing residents with an environment that contributes to their health and economic well-being as well as helping to meet the many environmental and ecological challenges that impact their daily lives. Cleveland was once nicknamed The Forest City, but the city has lost significant canopy. Tree canopy cover is low at 19%, only one quarter of what is possible. Each year an estimated 97 acres of tree canopy is lost. At this rate, canopy will drop to 14% by 2040 unless we act now. It is time to rebuild the urban forest, together. The Cleveland Tree Plan is a community-wide collaboration to rebuild the urban forest through partnership. Stakeholders have assessed Cleveland’s urban forest and are now determining a unified vision and plan of action to reforest the Forest City. Western Reserve Land Conservancy is a proud member of the Cleveland Tree Coalition, a collaborative group of public, private and community stakeholders that have partnered with the City of Cleveland to rebuild our urban forest. Stakeholders are working collaboratively to achieve the goals established by the Cleveland Tree Plan. Together, we’re making Cleveland the Forest City once again. To date, Western Reserve Land Conservancy planted more than 5,400 trees in Cleveland neighborhoods. 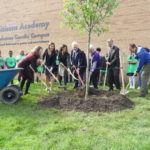 Trees have been planted by more than 1,700 individual volunteers, ages 8 to 80, and community partners including schools, block clubs, and community development corporations. Learn more at: https://www.wrlandconservancy.org/whatwedo/reforest-our-city/. 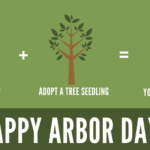 Adopt a tree seedling this Arbor Day! How are you going to celebrate Arbor Day? We have you covered! 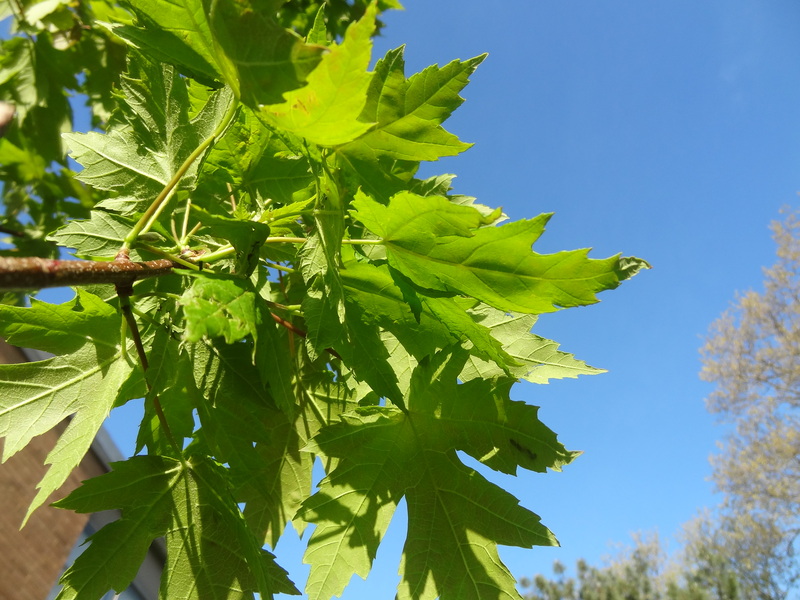 Join us for the 4th annual Land Conservancy Tree Adoption!